Come Thursday, the Samsung Galaxy S4 will be available on all four major U.S. wireless carriers. To celebrate, we thought we would hand out a whole bunch of cases and accessories for the device from our friends at Spigen. We reviewed a couple of their cases already – the Ultra Thin Air and GLAS.tR – so that means we have a bunch laying around that need to go out to you, the wonderful Droid Life reader. In fact, we have 17 of their cases to give away, some of which are the Ultra Thin Air while others are the wallet/flip cover style. Who wants one? 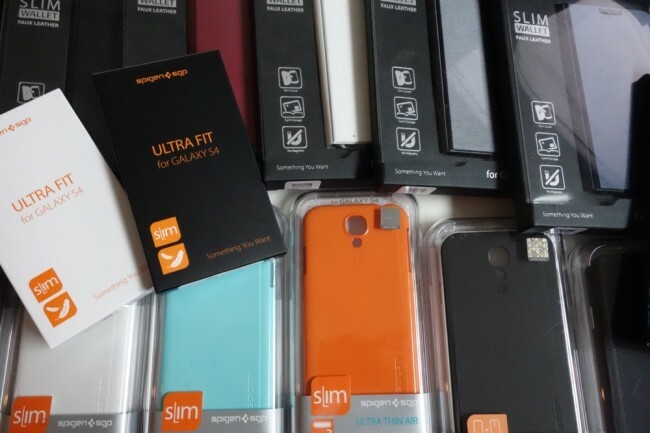 To check out Spigen’s entire Galaxy S4 collection, hit up their store. We’ll select our 17 winners tomorrow at 3PM Pacific.